(TibetanReview.net, Dec01, 2016) – The Dalai Lama on Nov 30 held a separate meeting with about 1,000 pilgrims from Tibet at the Tsuglakhang, Dharamshala, India. He told them that since they had come to India on pilgrimage or to visit relatives, he thought he would talk to them about Buddhism before they returned home, said a report on the meeting from the exile Tibetan spiritual leader’s office. He emphasized the importance for the Tibetan people to not just follow but also understand and analyze the teachings of the Buddha, using logic and reason. He informed them that the Nalanda tradition of ancient India which focuses on analyzing and explaining Buddhist philosophy extensively using logic and reason was being fully maintained only by Tibetans. He noted that Chinese communist propaganda had suggested that Tibetans had only blind faith in the Buddha’s teachings and that it would wither when they gained a more scientific understanding. However, what had in fact happened was that scientists had become increasingly interested in the Buddhist approach, particularly concerning the workings of the mind and emotions. He said that 400 million of the 1.3 billion Chinese people today were Buddhists and “we can serve them by making our Buddhist traditions available to them,” for “we have kept our traditions alive not merely for our own benefit, but for the good of the world” as well. 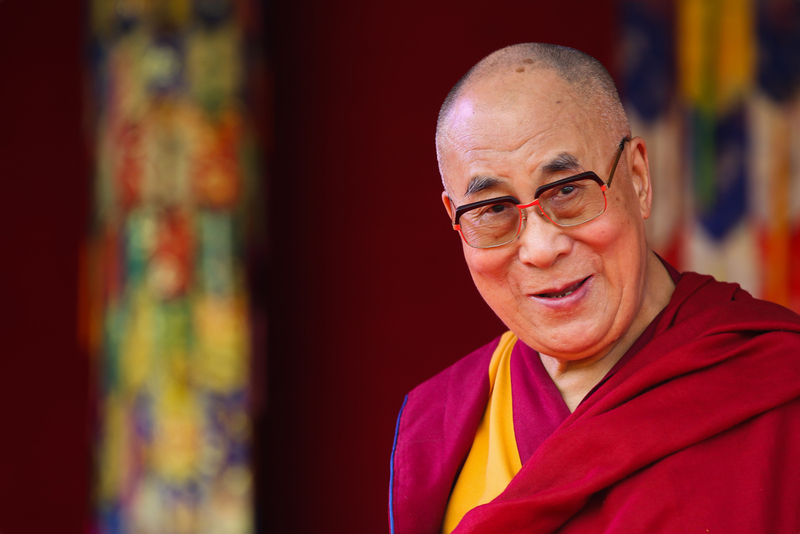 The Dalai Lama was reported to have acknowledged the difficulties and dangers the pilgrims had faced in coming to see him. And when he praised Tibetan determination and the unbowed spirit of the Tibetan people, many of them were reported to have quietly wiped away tears. The Dalai Lama ended his meeting by leading the gathering through a simple ceremony for generating the awakening mind of bodhichitta. After that, he gave the pilgrims from Tibet the transmission of the mantras of the Buddha, Chenresig, Manjushri and Arya Tara.